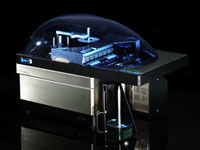 We now have on special offer the CopyTrax Monet CD Printers - call for special pricing. The SEIKO Precision CDP-2500 Series of Colour CD Printers is now discontinued. Are you fed up with a slow Internet connection? If so why not sign up for our FREE Fast Internet connection. The only thing you pay for is the local phone charge. This service accepts both 56k modem and ISDN connections on the same number. Try it! You will not be disappointed. Any prices quoted exclude VAT and Delivery. We accept both VISA and Mastercard subject to a 2% surcharge, no surcharge on Switch/Delta Debit cards. Please e-mail us with full contact details incl. Name, Company name, Address, and if different, Delivery , address telephone number and the items required together with Credit/Debit card details. If you prefer we can call you back on the next working day to confirm your order and take these details then. All goods are despatched by Next day couriers and we undertake not to charge your card until goods are both in stock, allocated to you and ready for despatch. All prices quoted on this web site are Estimated Street Prices for end-users and exclude Delivery & VAT.